The past few weeks this blog has seen its fair share of posts about chocolate milk. Coincidentally the posting coincided with the launch of a new American Dairy Council sponsored chocolate milk campaign, "Raise your hand for chocolate milk" which has health professionals (dietitians, pediatricians etc.) 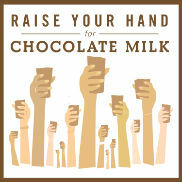 recommending we raise our hands in support of chocolate milk. Someone who's not raising his hand for chocolate milk is Dr. Barry Popkin. Dr. Popkin is the Carla Smith Chamblee Distinguished Professor of Global Nutrition, has a Ph.D. in economics and is Professor of Nutrition at the University of North Carolina–Chapel Hill where he directs their Interdisciplinary Center for Obesity. Dr. Popkin has published hundreds of journal articles, book chapters, and books and much of his work has focused specifically on the impact beverages have had on the prevalence of obesity. That focus is certainly one of the subjects he covers in his most recent book, The World is Fat: The Fads, Trends, Policies, and Products that are Fattening the Human Race. Dr. Popkin was kind enough to spend a few moments chatting with me last week about chocolate milk and the Raise your Hand for Chocolate Milk campaign. Click below to download the file, or you can listen on the embedded player (won't work with email subscribers) and hear Dr. Popkin discuss how among other things the bone health concerns we've got for our children are better treated through increased activity rather than increased dairy. Me? While I'm certainly not about to raise my hand for chocolate milk, I'd be happy to raise for it one particular finger. 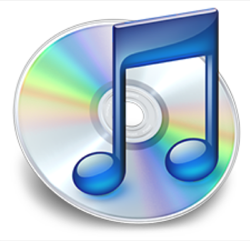 Click here to download this podcast or click here to subscribe in iTunes!